RR by Webbie: Capriotti’s | Buoy. Absolutely starving? 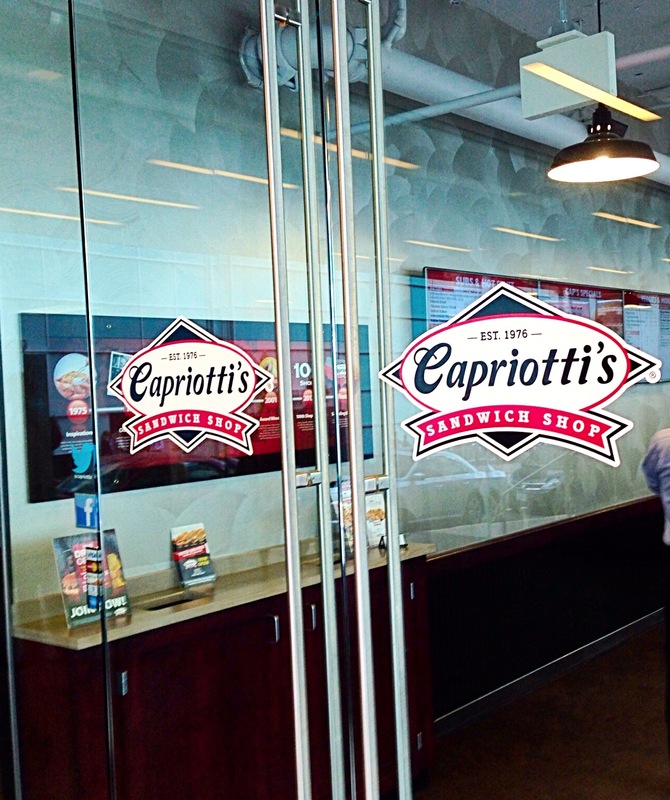 Go to Capriotti’s, located at M and 18 in DC and now Rosslyn, Arlington. Not close enough to you? Don’t worry – another 10 locations are set to be opened throughout the WMA. 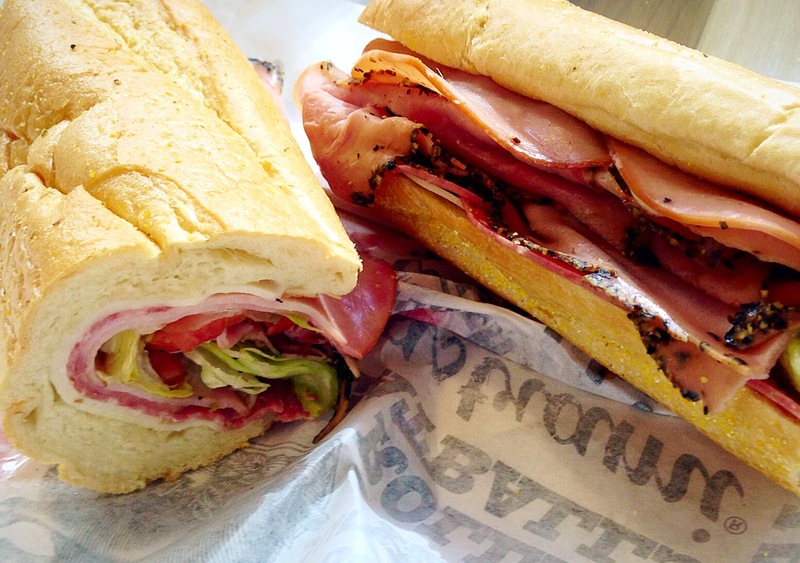 Founded in 1976 in Delaware and now located in 15 states, Capriotti’s has an array of hot and cold craft sandwiches that are filling to say the least … particularly when you get the 20” sub because a normal size sub isn’t enough food. I went for the first time this week for lunch, and they didn’t let me down. I was able to try three different subs because my co-workers were nice enough to share some of theirs: the Italian, the Bobbie, and the Italian Sausage were all very good. I was hoping to also try the meatball, which looked like the best of them all, but my co-worker ate all of it and then apologized later. The next time I go, I’ll probably have to try the cheese steak, though, because I have heard nothing but great reviews. If you aren’t aware, this is the place that Vice President Joe Biden kept raving about when he heard it was coming from his home state of Delaware to DC. Based on the sandwiches I have had so far and the large variety on the menu, I recommend Capriotti’s. Be sure to check it out! As you may know, the Bobbie is a Thanksgiving sandwich, similar to the Nobadeer that I love at Jetties. I have to admit that I prefer the Nobadeer slightly, but it is important to note that they are very different. In addition to using sourdough instead of white bread (which I definitely prefer), the Nobadeer is served warm, as if you are literally eating Thanksgiving on a sandwich. The Bobbie on the other hand, is served cool, as if you are making a sandwich in the late afternoon with Thanksgiving lunch leftovers during the Dallas Cowboys game. It is very, very good but a tight-win by the Nobadeer. Let me know how any of the other sandwiches are once you try them! I totally agree that if you are a real sandwich lover trying every sandwich is a must. You have to try The Capastrami, it was awesome. It’s a hot sandwich….the pastrami was flavorful and tender, the cole slaw was slightly sweet and crunchy….there is nothing bad to say about this sandwich except AWESOMENESS! !